Iranian parliament speaker boasts that his country provided Hamas with the technology it has used to rain down rockets on Israel. Iran provided the Hamas terrorist group with the technology it has used to rain down rockets on Israel from Gaza, its parliament speaker boasted on Thursday. Tehran frequently boasts of the financial and material support it gives to Hamas and Islamic Jihad but more rarely talks of its military assistance, noted AFP. "Today, the fighters in Gaza have good capabilities and can meet their own needs for weapons," speaker Ali Larijani was quoted as having told the Arabic service of state television. "But once upon a time, they needed the arms manufacture know-how and we gave it to them," he said. 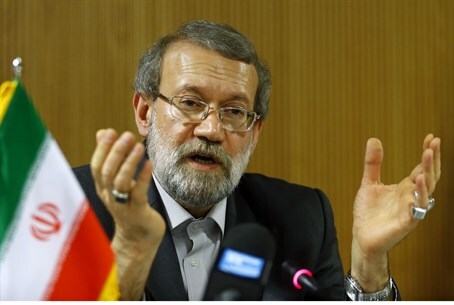 During the last major conflict in and around Gaza in November 2012, Larijani said Iran was "proud" to have provided "both financial and military support" to Hamas. Israel accused Iran of supplying Gaza terrorists with its Fajr-5 missile, which has a range of 75 kilometers (45 miles), for use during that conflict. Hamas fired several such missiles at Tel Aviv and even Jerusalem in 2012, all of which exploded in open areas and did not cause any physical injuries or damages. The commander of Iran's Revolutionary Guards, General Mohammad Ali Jafari, claimed at the time that it was not the missiles that had been supplied but their technology. Iran's supreme leader Ayatollah Ali Khamenei called on the Palestinian Arabs on Wednesday to keep fighting Israel and to expand their resistance from Gaza to Judea and Samaria.